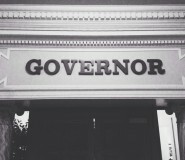 The Okie » Oklahoman: Is Oklahoma Ready To Elect A Wealthy Outsider To High Office? Oklahoman: Is Oklahoma Ready To Elect A Wealthy Outsider To High Office? Is Oklahoma ready to elect a wealthy outsider to high office? Oklahoman Editor’s Note: This is the first in an occasional series about the candidates for Oklahoma governor. 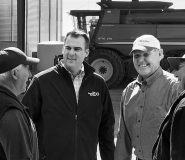 GUTHRIE — Kevin Stitt stood in a circle of business people and community volunteers Wednesday morning waiting for a chance to speak. A 45-year-old entrepreneur who built a mortgage company with offices around the nation, the Norman native is accustomed to commanding a room. 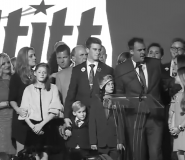 Here, though, in cramped quarters at the YMCA, Stitt was an unknown guest and given the floor only for a few minutes, in between announcements about helping local causes and the upcoming Martin Luther King Jr. Day Parade.